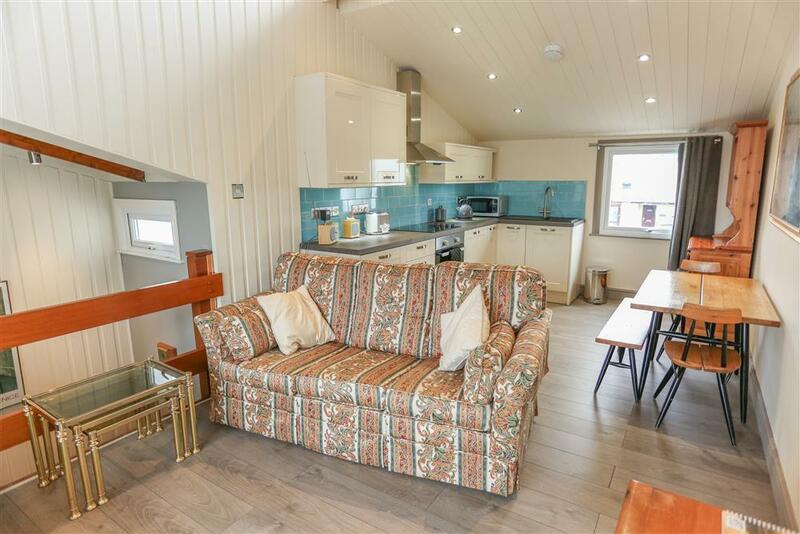 Guests will be overjoyed with the location of this private quayside development, a 5 minute walk from the town centre and the famous Ffestiniog Railway steam train station. This is rather a special villa with a large living room occupying the whole of the first floor with a superb functional kitchen. 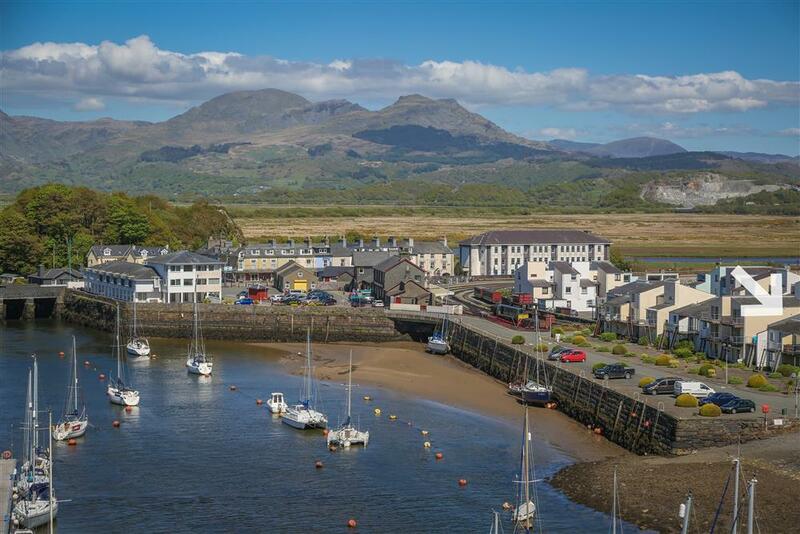 The balcony overlooks the harbour and the hills beyond Porthmadog town. 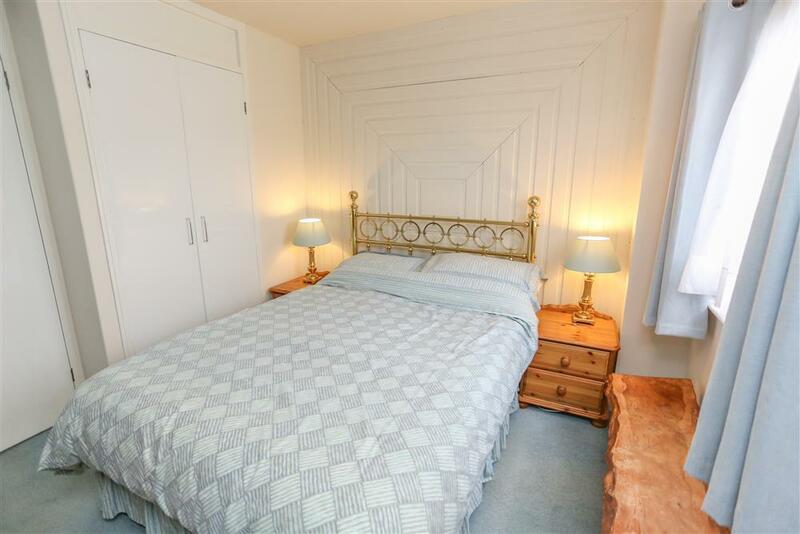 There are two bedrooms, a WC and a separate shower room on the ground floor. Enjoy peaceful scenes of bobbing boats from the balcony as the cormorant dries his outstretched wings and swallows skim across the water. Just the place to relax and sit with a pair of binoculars. This is a good central location for a holiday property in North Wales. 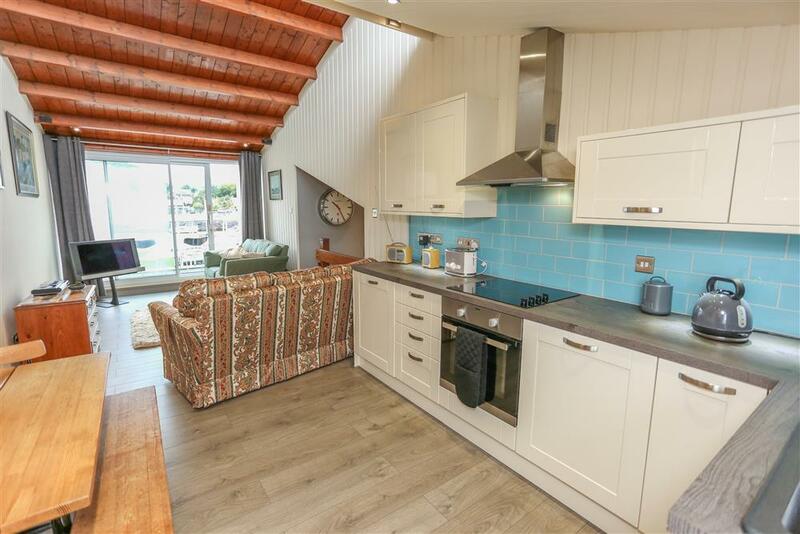 Easy access to sandy beaches at Borth y Gest (15 min walk) and Morfa Bychan Black Rock Sands (2 mls). Snowdon and the pretty village of Beddgelert are 7 miles away. Portmeirion village, prestigious hotel and gardens are 2 miles away. Cricieth, Caernarfon, Harlech are just a few of the castles in the area. 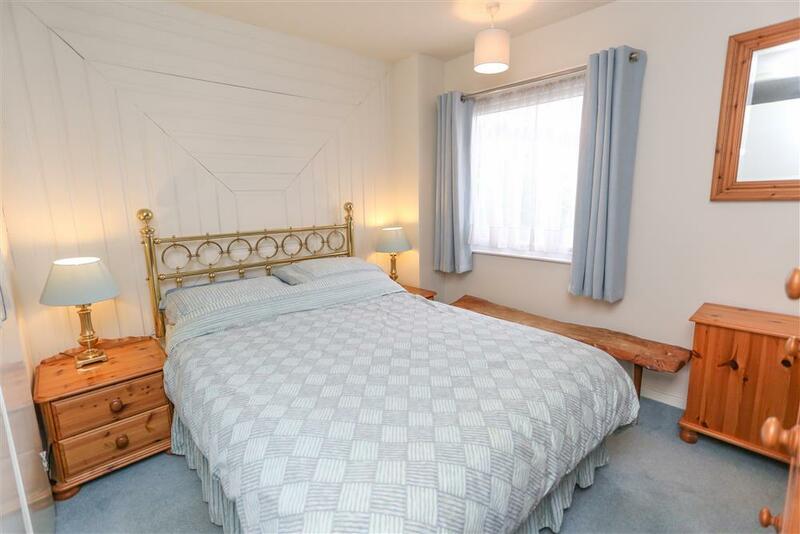 2 BEDROOMS: Two Double bedrooms on the ground floor. Bed linen and towels provided. 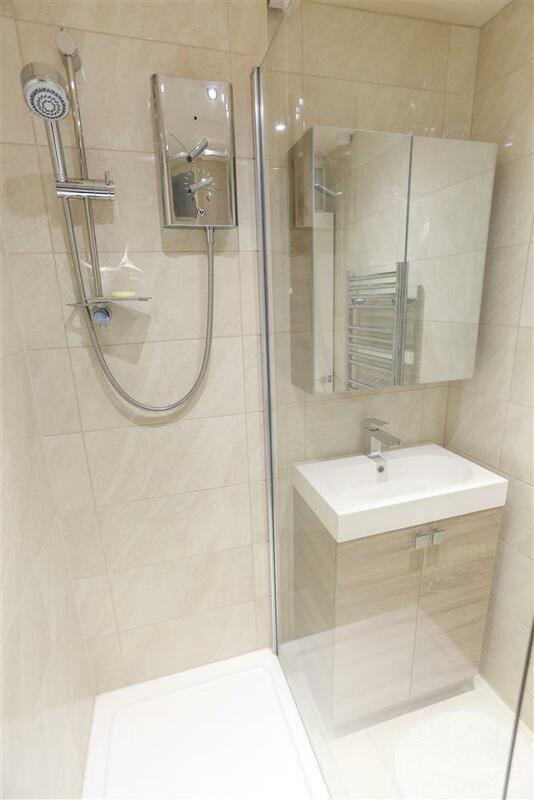 SHOWER ROOM: Large shower cubicle and hand wash basin on the ground floor. 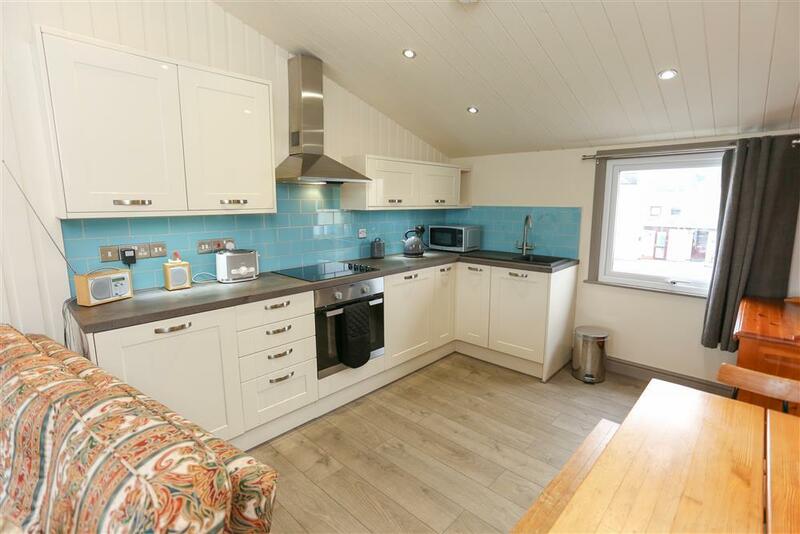 KITCHEN AREA: Fitted modern units with electric cooker, halogen hob, fridge, freezer, microwave and washer dryer. Table with seating for 4 (on the 1st floor). BALCONY: Balcony with 2 seats. Open balcony not suitable for children under 10 years old. PARKING: Allocated parking for 1 car. Extra parking available on harbour wall. HEATING: Night storage heaters downstairs and electric heaters upstairs. F.A.Q: Access is via a proper front door on the ground floor. The ship's ladder that you can see in some pictures are for decorative purposes only. 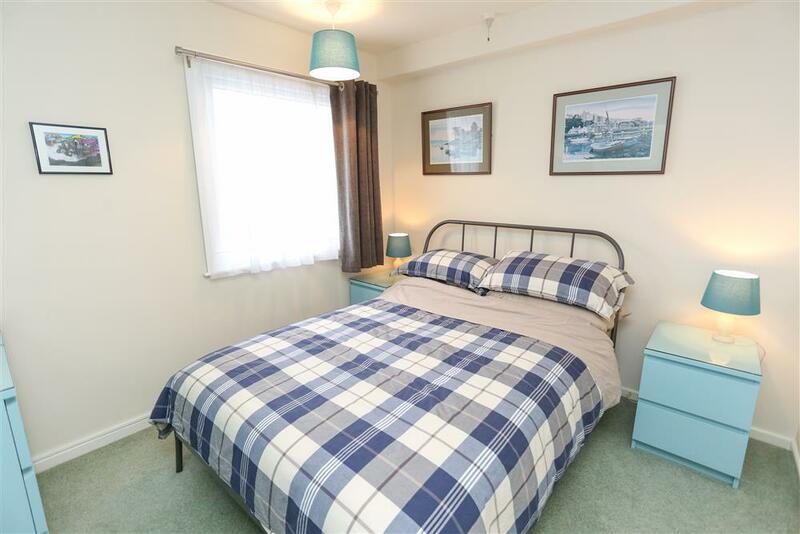 Mrs P (October, 2018): "Very pleasant, clean property. It was just as described and is in an ideal location." 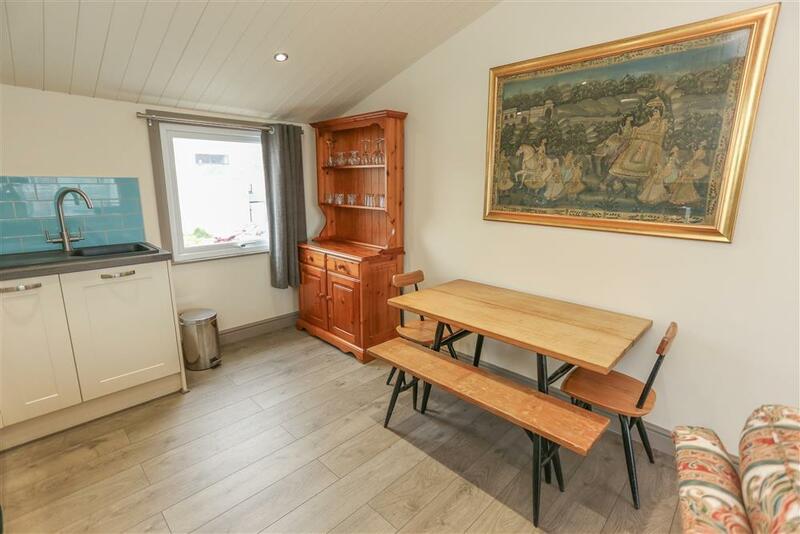 Mr M (September, 2018): "Great location, lovely views, well equipped and cosy property." 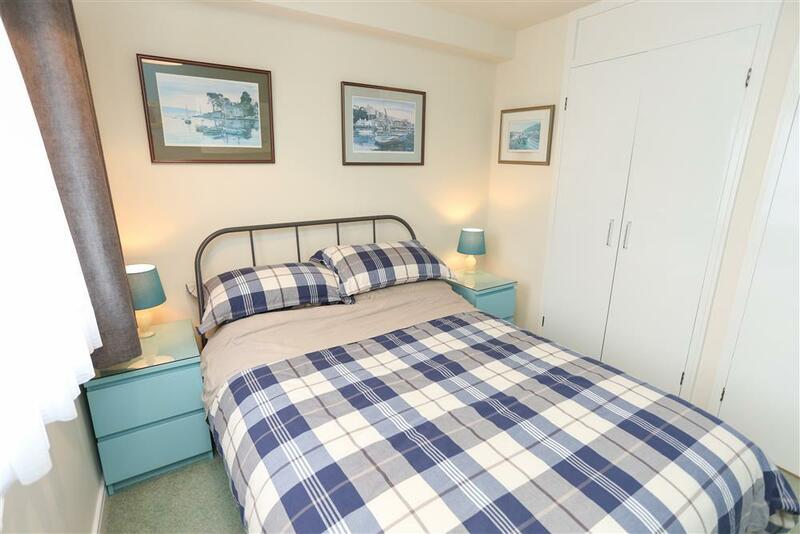 "Comfortable accommodation with spacious living areas and a modern kitchen with Denby crockery." Mini-break Rules for this Cottage: A mini-break is a holiday for less than a week and/or may start on a day which isn't the normal changeover day. This property owner will only accept mini-breaks in the holiday season at medium notice of 31 days between before the holiday. Out of season minibreaks (Nov - Easter) are bookable at any time. The apartment was built in approximately 1965 and has two floors. Approach is from a private road to a single parking bay adjacent to the property. Additional parking is available at the front of the apartments on the harbour wall. There is a flagged, slightly sloping walkway from the parking bay to the front door providing level access. There is an outside light with switch inside the property. On the ground floor there is a hallway off which is the shower room, storage area under the stairs and two bedrooms. Lighting in the bedrooms is good with large windows for natural light, overhead and bedside lights. Light switches and electric sockets are at approximately 1500 and 500 mm. respectively. Stairs which turn to the left lead upstairs to the kitchen, sitting, dining and balcony areas. The kitchen has it's own window and an extractor fan for ventilation. Electric sockets here are at worktop level. This area has natural light from a large balcony window, a window in the dining area and the small kitchen window. There is also plenty of additional lighting from ceiling and side lamps. The sitting area has a remote control television with all standard and Freeview channels A CD player are also provided. 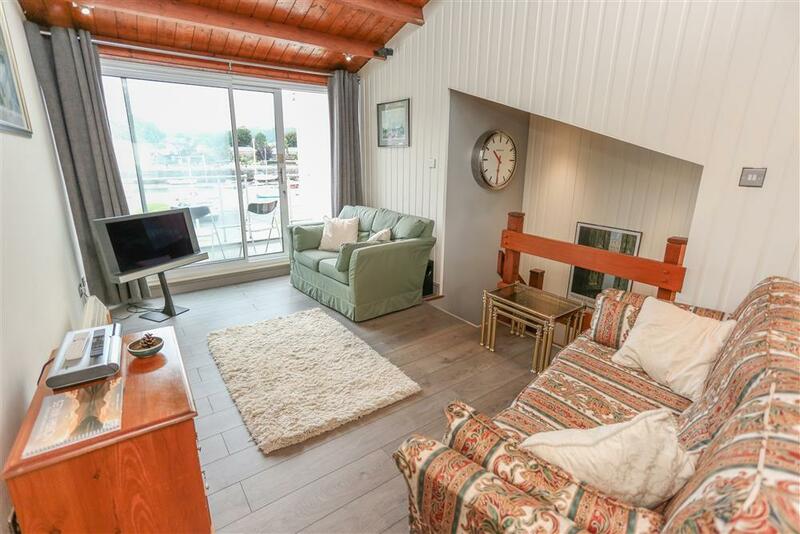 The balcony is accessed through a large sliding door and overlooks the harbour and the Ffestiniog Railway Station is nearby. There are also views to the mountains. Chairs, cushions and a table are provided.